When my arterial plumbing got perilously close to fatal failure 16 months ago, God granted me the opportunity to reassess my life while on a breathing tube for 12 days. The highlight of those days was turning over in my bed (actually, being turned). My conclusion after the ordeal ended was that I really did not want to make any big changes in my life except one—I wanted to feel my days more intensely. Whatever I got to do in the days I was allotted I was going to do with an awareness and gratitude that was more acute than the automatic-pilotness I often fall into. When I celebrated my Medicare birthday on December 16, I had another period of reflection. At 65 did I want to throttle back or even retire, or did I want to work hard, build, take risks, and mount an expedition to the Himalayas? Anybody out there have a good Sherpa connection? 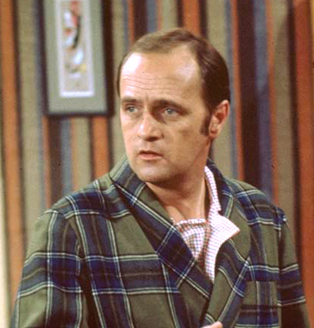 It brought to mind the famous Bob Newhart comedy routine about the retirement party and the “Gold Watch.” Click to listen. Question: Do you think you will retire at 65? Will you ever retire? If I could get a job I would go back to work in a heart beat. I could not wait until I would turn 65 so I could retire. I turned 67 in Oct and do not have retirement date set. Be careful for what you wish. Not as long our customers and prospective customers value my expertise and request my input in their decision making process. Also, I will continue to volunteer my services to organizations who provide young people with the opportunity to acquire metalworking skills leading to a good job. I’ve been Type1 diabetic since age 12, and I’m 48. At 12 I began enjoying today and hoping to make it to 40. At 27 I began enjoying my kids, hoping to see them graduate from high school, and knew I wouldn’t live to retirement. My last daughter starts college this fall, and I’m still healthy, thank God. Now I’m hoping to see marriages and even grandkids, but I’m not attached to retirement. Plenty to live into today! Without diabetes, I might have spend the last 36 years without intention. So I’m thankful. I just celebrated the 50th anniversary of my high school graduation and am still working. I own my company and haven’t figured out how to retire. I enjoy the business and all of my employees. I may retire or at least pull back a little, but so far no date! No. I won’t be able to afford to! Having been in a manufacturing environment since age 14 (with time out for college & air force) I had said I would work at least part time until 80. Retiring is in some ways like divorcing. Will I be bored, depressed, overjoyed, uncertain, lazy, etc ? At 72, I have decided to try working two days a week — Just enough to avoid being a major part of long term projects, and just enough to still be a “go to” answer person. Lord knows I have a mountain of unfinished projects at home, friends I seldom see, and places to go. The extra income will be nice too ! Besides, I love my job and hate to just walk away and leave it all behind. Maybe this will be the best of both worlds. At 78, and on my third retirement i still have to get to the office of my fourth company. osteoporosis and osteoarthritis. I’m making Sally Field rich with the cost of that monthly Boniva pill. Anyway, my wife has been out of work for more than a year. I am a machine tool salesman, so I’ve made and saved a few bucks over the years, but I have to pay health insurance and put my youngest (he’s 16) thru college. I don’t know how much I’ll need to retire “early.” It just depends on this stinkin’ economy and how much I can make in the next 5 to 7 years. Wish me luck. It occurred to me many years ago that many Baby Boomer’s will never know retirement but instead will need to work until they drop just to maintain their lifestyle. This will mean moving from one career or job to another, retraining and re-educating yourself every few years just to remain viable (read Free Agent Nation by Daniel Pink). Most of us Boomer’s have lost much of the “cushion” we built up for retirement and are now running scared about the economy, our net worth and catastrophic healthcare costs. My prediction three and a half decades back appears to be the coming trend. But as long as I enjoy going to a job I like everyday and start learning to scale back my lifestyle expectations who cares . I’m 55 and have lived with health problems all my adult life. Every moring I force myself to go to work, when I don’t want to. However I’ve got to have that money to pay the bills. I do enjoy the my career, and I am good at my work. But the pay stinks and I put up with constant unrelenting pain and discomfort. So I looked forward to retirement. I’ve been responsible. I’ve worked hard, lived within my means, and saved as much as I can for that day. And I thought I was going to make it, until the economy crashed, and 50% of my savings evaporated. Now thanks to our corrupt, incompetent, and socialist government, I see irresponsible, lazy people who’ve been living beyond their means get excused from their debts. Or they get handouts from tax payers like me. Meanwhile, the remaining dollars I have in my savings are steadily eroding in value as our government flooding the world with newly printed dollars. So my dream now is KEEPING my job till the day I die. I have every expectation Congress will kill that dream also, when the impose cap and trade, government heath care, etc. I started working at 12.Apart from 7 months in School learning English when I arrived in Canada in 1967, i rarely have taken more than 2 weeks vacation and has not been every year.After i sold my Machine Shop of 25 years where i was Parter-Administrater I went to Work for o Plastic Mold Company for seven years where .When I became 65-3 years ago-I left because of Company Policy.I started a Screw Machine Shop with one Single Spindle, I have 3 Screw Machines now plus other Equipment, and I have no intention of retiring. The second question depends upon many circumstances which are far beyond my control, but my PLAN was to retire at 70 (and so be eligible for the maximum Social Security benefits), IF the nest egg ever showed significant growth! I’ve got several small accounts. One was started with a lump-sum amount taken at time of departure from another company; it is worth almost exactly what I put in more than 20 years ago, though of course the dollars themselves are worth less. It grew slowly, losing a bit to various charges, until nearly 10 years ago when it plummeted to well below the initial investment. When I became eligible to put money into a 401(k), I did so, even adding the “catch-up” amount, and taking full advantage of employer matching of retirement savings. That took its big hit more recently, and is worth less than what has been directly invested (including the matching funds). I see zero probability that it will grow to a useful size. At least two companies in which I had vested retirement money have gone bankrupt themselves, taking everyone’s savings along with them into the black hole. This could have an immense impact upon my ability to retire before I need to begin withdrawals. The previous administration’s changes to bankruptcy law have taken away any chance of making lemonade from these lemons . . . About the only good news is that my health remains generally good, and my do-it-yourself skills keep expenses for my home lower than most folks’.